With the summer winding down, Certified Pool Operators® everywhere are gearing up for seasonal pool maintenance. Winterization is an essential pool maintenance service that serves to prevent pool damage, reduce the chances of vandalism, and properly maintain all pool equipment. Before you start closing up the pool, make sure you know exactly what needs to be taken care of. 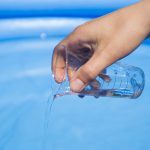 Making sure your pool maintains the proper water level is one of the first considerations in seasonal pool maintenance service. For some pools, the water level is dropped to below the skimmers and others may be completely drained. In some areas with mild temperatures, it is possible to leave water in a pool in the off-season to circulate occasionally. 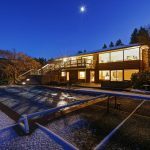 However, in areas with more extreme climates, you may need to drain the pool and winterize its circulation system. This involves using compressed air to blow out all water from the pipes and applying antifreeze. The antifreeze used must be specially designed for pools. Automotive antifreeze contains toxic ingredients and should never be used during pool winterization. In areas with high water tables, hydrostatic pressure becomes an issue when draining a pool. When rising water exerts pressure on the underside of a pool shell, it can be pushed upward and even float out of the ground. To relieve this pressure, hydrostatic relief valves are installed in the lowest part of a pool. When groundwater rises, the valve opens and allows the water to flow into the emptied pool, rather than pushing the pool upward. One should be aware of their water table before draining a pool. Pool covers can control staining, keep debris out, maintain water levels pool during the off-season, and prevent a barrier to access. 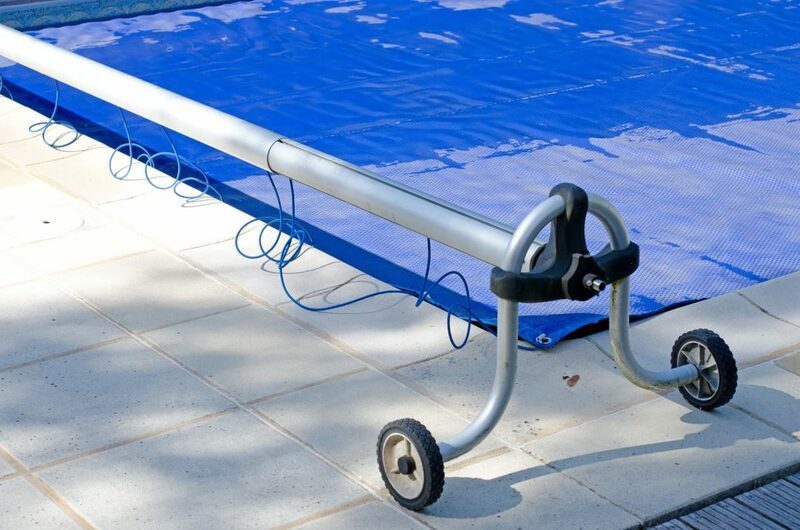 Safety covers are fastened to the deck around a pool by spring-loaded mechanisms attached to the pool cover straps. There are solid and mesh variations. 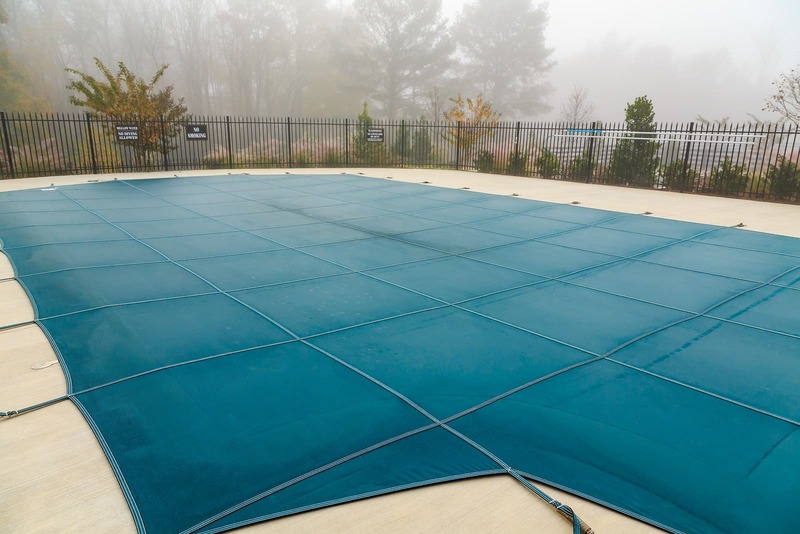 Mesh covers are designed to allow rainwater to enter the pool rather than collect on top. If a pool cover allows rainwater to collect on top, the water must be periodically pumped off the surface to prevent the cover from stretching and loosening. During seasonal pool maintenance service, pool equipment must be protected from weather, moisture,and freezing. Doing so takes a fair amount of disassembly. Pumps, filters, chemical feeders, probes, and cells must all be protected from moisture and weather damage. Fittings and certain drain plugs can be removed and stored. Some equipment can be disassembled and packed away in a warm, dry and secure storage space. Mechanical devices can be lightly oiled and covered for protection. Electrical equipment, computers, and other office equipment should be tightly wrapped in plastic and stored in a locked area if not be accessed during the winter. It’s important that the pool operator compiles a master list of all items that are taken apart and stored. These should include a list of steps required for reassembly. Vandalism is a common issue that aquatic facilities face in their off-season and pool operators must take the proper steps to prevent property damage. A good way to do so is by removing ‘attractive nuisances’ that would lead a vandal to your facility. This means covering doors and windows with shutters of plywood and hiding items like phones, TVs, computers and radios out of plain sight. Overhead security lighting, alarms, and cameras are also helpful in deterring vandalism. If a pool is not drained during seasonal pool maintenance service, it is important to address the chemical balance of the pool water. There are few health code regulations for water chemistry during the off-season, however steps must be taken to prevent the pool from damage. The pool should be chemically balanced in order to prevent algae and oxidize traces of organic residue that may enter the water. Free chlorine, pH, and water balance should be maintained but chemical testing can be performed less frequently. Are you getting ready to close up the pool for the off season? The professionals at Pool Operation Management are trained and certified to inspect and close both residential and commercial pools. We also offer award winning CPO certification courses to teach you how to close a pool properly. Don’t let your pool fall apart this winter, contact us and we’ll take care of the rest.